Filing on Monday: Willie Wilson, who had staffers camp out overnight to be first; Toni Preckwinkle, Paul Vallas, Jerry Joyce and an unknown candidate by the name of Catherine D’Tycoon, who once tried to run for 21st Ward alderman but was kicked off the ballot when her signatures were declared invalid. Candidates have an entire week to turn in their petitions, but Monday’s early birds say there’s a method to their madness. “We’re very confident that we have well over three times the amount of signatures we need, and the important thing is we got signatures from all over the city,” Vallas said. It remains to be seen whether there is an advantage to turning in petitions early. Each candidate who was in line to file by 9 a.m. Monday morning will go into a lottery to determine who gets placed at the top of the ballot. A second lottery for candidates who file before the close of registration on Nov. 26 will determine how far down the ballot they’ll be. 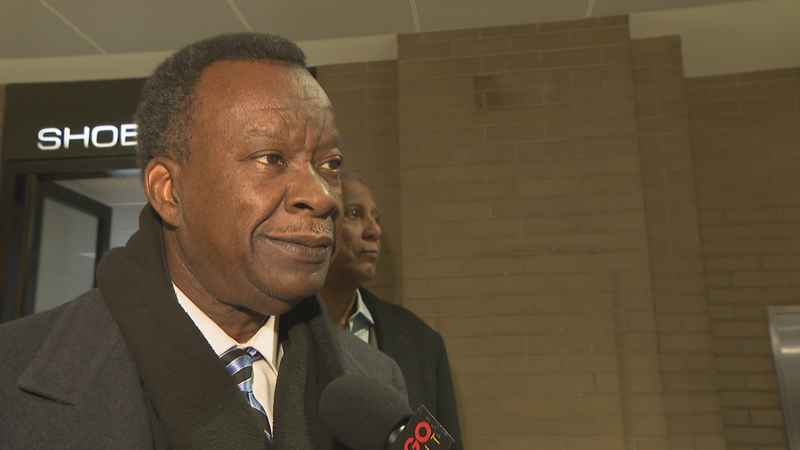 Chicago mayoral candidate Willie Wilson speaks with “Chicago Tonight” on Monday, Nov. 19, 2018. After the final day of petition filing comes the age-old tradition of trying to knock candidates off the ballot. Multiple candidates will most certainly challenge others’ petition signatures, looking for invalid addresses, unregistered voters, or even checking to see if the petitions were properly bound. (Election lawyers make a living fighting these cases.) Candidates have until Dec. 3 to file their objections and then the board of commissioners will have to hear each case, like a trial. It’s a massive amount of work for a short period of time. Some candidates could even take these challenges to court, where the board of elections would beg the court system to try them in a hurry.